Available on-premises or online, Sage 100cloud (formerly Sage 100c, Sage 100 ERP, Sage ERP MAS 90 and 200) can deliver what you need—from up to the minute accurate financial, manufacturing, and distribution data, to remote access through the cloud for field sales and service teams—you’ll have visibility into your operations so you can grow your business and achieve your goals. Sage 100cloud solutions are designed to meet the basic needs of every mid-market company, but certain industries require more specific processes and operations. 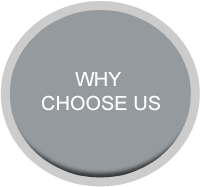 We can help you choose and implement solutions tailored specifically to your industry, which help reduce the cost and time involved in implementation. Boost productivity and profitability through built in visual process flows that allow for ease of use, and flexible personalization. Establish a strong business management foundation with powerful core accounting and financial modules that streamline everyday chores into simple tasks. Customizable options, user-friendly design, and an intuitive interface enhance workflow and increase efficiency for your business. Improve visibility throughout your business to make faster, more informed decisions. Get instant visibility across your business, boost productivity and improve your reporting with business intelligence capabilities that create a comprehensive information management solution. Optimize your sales, build customer loyalty, improve satisfaction and achieve better sales management. Set new standards for customer service, improve loyalty and retention, and boost sales. Your sales representatives get complete, up-to-the-minute information at their fingertips to answer every customer question, including the availability of specific units in inventory, item pricing, quantity pricing, and more. Take charge of your inventory to reduce carrying costs and fulfill orders on-time. Get full control over your warehouse inventory, track stock accurately, and improve customer satisfaction with real-time inventory management software for distributors. Receive accurate information on your merchandise, including receipt, location and disposition of goods, as well as the precise value and status. Improve lead time calculations, have more accurate materials plans, and enhance your resource allocation. Maximize your efficiency, from forecasting to shop floor to completion, and hit your order lead times. Power up your entire manufacturing process and improve productivity with detailed, accurate tracking and reporting at every stage. Click here to contact one of our consultants to learn more about Sage 100cloud.